Traditional LASIK vs. Custom LASIK: Is There a Difference? You are here: Home / Lasik / Traditional LASIK vs. 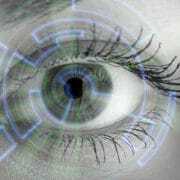 Custom LASIK: Is There a Difference? When patients come to Papale Eye Center, they know that they are visiting one of the leading eye care centers in Springfield. We offer state-of-the-art laser eye surgery, including advanced custom LASIK surgery. Many people wonder how custom LASIK differs from traditional LASIK. Let’s compare the two right now. Traditional LASIK surgery was a standard in refractive procedures, allowing eye care professionals to correct vision and reduce a patient’s dependence on corrective lenses (i.e., glasses and contacts). During LASIK, a laser is used to reshape the cornea, improving the passage of light through the eyes and making sure it focuses properly on the retinas, the light-sensitive tissue located at the back of the eyes. Myopia (Nearsightedness) – Myopia occurs when it is easier to see objects that are nearby than objects that are at a distance. Hyperopia (Farsightedness) – Hyperopia occurs when it is easier to see objects at a distance than objects nearby. Astigmatism – Astigmatism is a general blurring of vision that occurs alone or accompanies myopia and hyperopia. What Makes Custom LASIK Different? 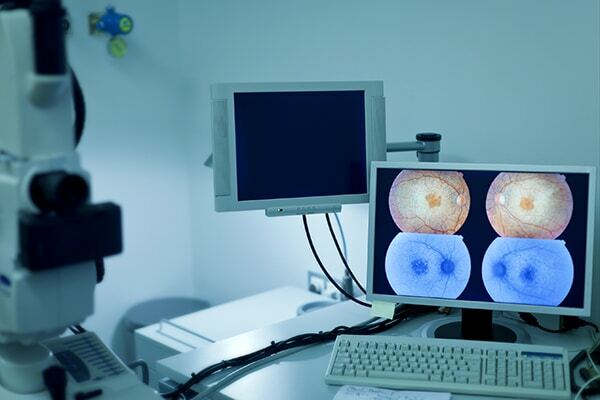 While all LASIK is customized to the patient, custom LASIK surgery uses advanced digital scanning technology that was previously unavailable when performing traditional LASIK. This wavefront digital mapping creates a three-dimensional image of the cornea with pinpoint accuracy. Thanks to wavefront technology, a LASIK surgeon is able to identify even the most minute corneal imperfections that affect vision, which means both lower order aberrations and higher order aberrations can be treated. Lower order aberrations are traditional refractive errors as noted above. Higher order aberrations are more minute vision issues such as glare, halos, poor night vision, and poor contrast sensitivity. Traditional LASIK was only able to treat lower order aberrations with any effectiveness. Higher order aberrations could not be regularly addressed through traditional laser eye surgery. 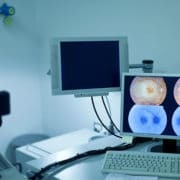 Thanks to custom LASIK, however, both lower order aberrations and higher order aberrations can be treated equally well. In addition to greater accuracy and effectiveness in LASIK surgery, custom LASIK is much safer. The wavefront digital map is uploaded into a computer in order to guide the laser during the actual surgery. Thanks to computer guidance, that means less chance for human error and reduced possibility of overcorrection and undercorrection. How Do Custom LASIK Results Compare to Traditional LASIK? Custom LASIK means the most accurate form of LASIK available today. 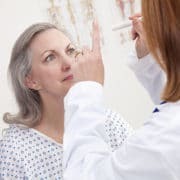 People who undergo custom LASIK achieve far greater vision results, with a higher chance of achieving 20/20 vision as well as better vision in general. If you would like to learn more about LASIK surgery and how it can help you see clearly again without the aid of glasses or contacts, it’s of the utmost importance that you contact our advanced eye care and vision correction center today. The team at Papale Eye Center looks forward to your visit and discussing these matters with you in greater detail. 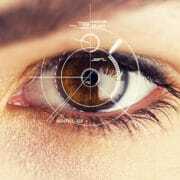 Is a Patient Ever Too Young or Too Old to Undergo LASIK? What Are the Benefits of Wavefront LASIK? LASIK vs. Contact Lenses: Which Is Better for Me? LASIK vs. 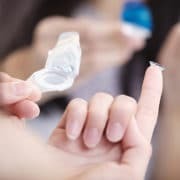 Contact Lenses: Which Is Better for Me? What Are the Benefits of Wavefront LASIK?